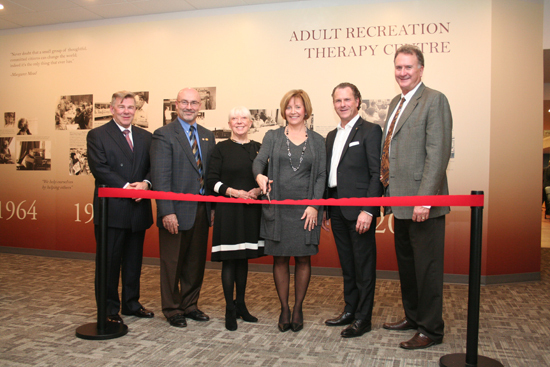 On Monday, December 14th the Adult Recreation Therapy Centre (ARTC) hosted the grand opening of their new building. ARTC provides physical and recreational therapy for disabled adults (e.g. stroke and accident victims). 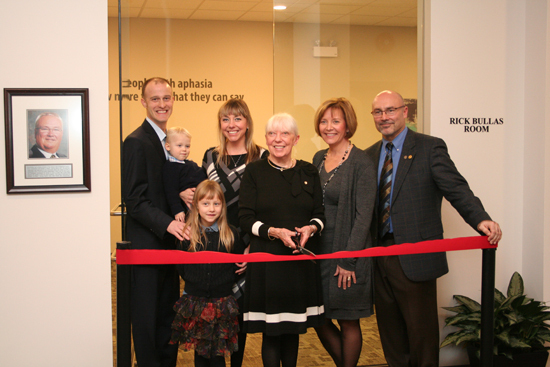 This new location will allow them to better serve our community. This move was made possible in part by a $250,000 donation by the Rotary Club of Brantford Sunrise, which is the realization of a long-term fundraising goal of the club. This project was started by Rick Bullas and was completed in his memory. Rick Bullas was a found member of Sunrise Rotary and had a vision of the club creating a recreational centre that would serve seniors. The Club was proud to fulfil his vision. Together over five years, The Rick Bullas Charity Golf Tournament and major fundraisers by Sunrise Rotary, like Trip of the Month, $250,000 was raised to assist in fulfilling Rick’s vision of a senior’s activity centre in Brantford and to help the Adult Recreation Therapy Center find a new home. 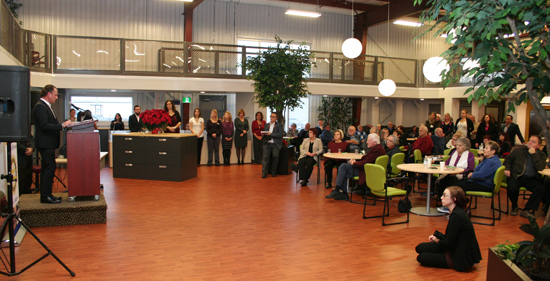 The Rotary Club of Brantford Sunrise couldn’t be more proud to make this major contribution to a vital organization like ARTC to ensure they continue to thrive and it was wonderful to see the building become a reality.